To give you an idea of ​​the versatility of our region below is a preview. In the info folder in your apartment or tent you will find more information and we would gladly advise you more during your stay. 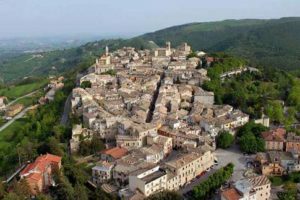 The history of the towns in the south of Le Marche dates back to the beginning of our calendar. The Piceni and the Romans are considered to be the first inhabitants. This region was blooming in the Middle Ages and the Renaissance. This is reflected in the well-preserved and restored towns. 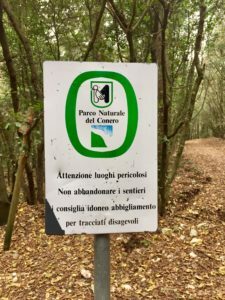 For example, in the nearby Petritoli, a city walk can be made together with a guide. Outside of Unico Senso you can relax on one of the beaches. 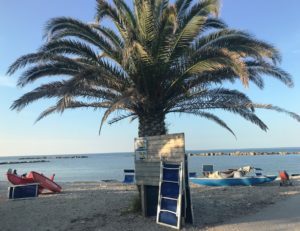 Both in the nearest seaside resorts and Pedaso and Porto San Giorgio there are multiple choices of sandy beaches, pebble beaches, simple and luxurious beach tents or public beaches. 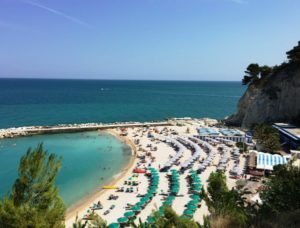 The more distant yet charming Grottamare, the fashionable San Benedetto del Tronto and the special Sirolo beaches are definitively worth a day trip! Cycling is also very nice along the flat promenades which stretch for several kilometres, bicycle rental is available there. Water sports and boat rentals can be found in the various seaside resorts and near a number of nearby lakes. 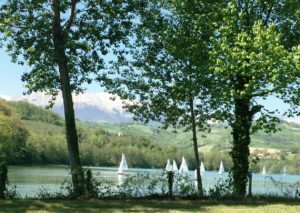 Golfing can be found nearby in Montefiore Dell’Aso at the 9-hole golf course of I Lauri Golf Club and at the 18-hole course Conero Golf Club in Sirolo. Horse riding is possible in the immediate vicinity. There are a number of stables which organize outdoor trips. There are a large variety of restaurants in the area. 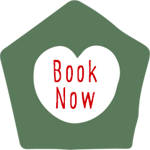 From simple pizzerias to restaurants with typical regional dishes, seafood restaurants, Enoteca’s, pure organic restaurants etc. 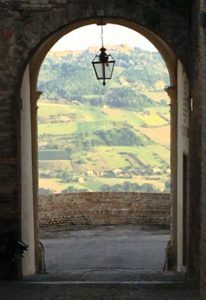 Le Marche is a versatile wine region, making white, red, rosé and sparkling wines. Numerous wineries can be visited. 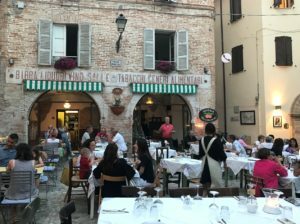 During the summer, there are many moments and locations for markets with regional specialties (including Porchetta, Salumi, Truffles) and parties are organized. Unico Senso is an excellent starting point for short or long trips. The roads wander through the landscape and on the way you will be treated to the most stunning views. A patchwork of vineyards, sunflowers, corn, olive groves, forest and rugged landscape. And suddenly you see the azure sea, mountains with eternal snow or both at the same time. At any moment of the day, it is different due to the altering lightning. 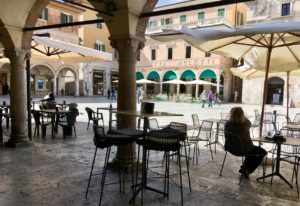 In the villages you can enjoy a coffee, drink or ice cream at the local bar or on the terrace and the friendly atmosphere of Le Marche. Combine your trip with a visit to a winery, a local market, a walk around a lake or an afternoon beach stroll!